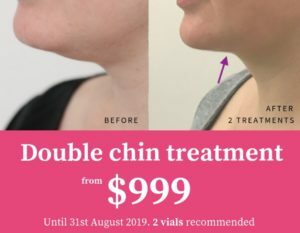 Home > Questions > Will my chin and neck feel heavy after double chin treatment? I have spoken to a couple of close friends who have had double chin treatment and they said that the under chin area felt numb on the day for about 2 hours due to the local anaesthetic. For a few days afterwards there was an altered sensation under the chin which made the area feel heavy. The area was slightly swollen which contributed to this feeling of heaviness.